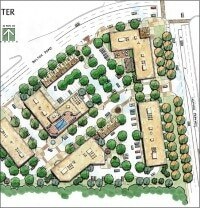 Bolton Village Center is a mixed-use development being built just south of Vinings, near the historic Whittier Mill area. Built in 1895, the Whittier Cotton Mill and its surrounding village was once described as one of the most picturesque communities in the Atlanta area. But by the 1970s the Mills had long sat unused and many of the village’s original structures were demolished. Recently, interest in the area is gaining, sought out by those looking for a home with historical status. Bolton Village is designed with that same mill town aesthetic in mind. 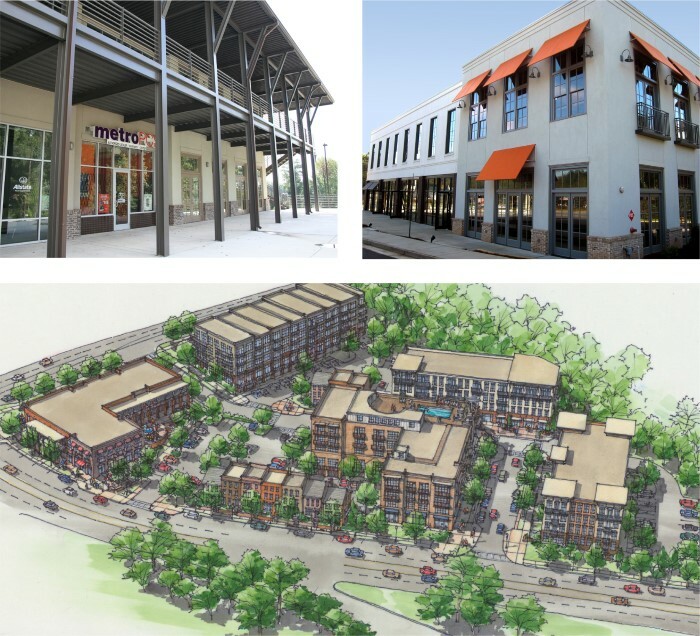 TSW planners have created a pedestrian-oriented Main Street for the Village’s center, complete with retail and restaurant spaces, parallel parking, tree-lined sidewalks and greenways. Live/work spaces were created for the Village’s two-story brick buildings, with retail space below and lofts above. The rooftop decks boast exceptional views of nearby Atlanta. Main Street’s commercial area blends with the Village’s single-family houses and townhomes to create a vibrant, walkable community. Like the neighboring community of Whittier Mill, a sense of history is important to Bolton Village Center. The community was built with design guidelines in keeping with the local sense of history, combining a picturesque and historic community with all the amenities for today’s modern living.